Be the first to hear about their new releases and deals. 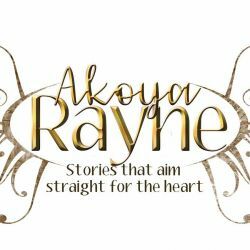 Download the Booksprout app and search for Akoya Rayne today! Akoya Rayne is the pseudonym of a stay-at-home mother. When she’s not writing, she’s raising her children and 2 fur babies with the love of her life. She is an avid reader of most genres of romance, and loves getting wrapped up in a good book. When she isn’t reading and writing on her next book, she’s doing crafts, gardening, studying, or having movie time with her family. She breathes stories, she dreams them, and she can’t escape them. For her, they're everywhere, which is why she writes. She writes to bring her emotions and thoughts in to this crazy world, and she loves to share them with as many people as she can.